A high ranking university: Konkuk University is ranked in the top 10 of South Korea’s private universities. It is one of Seoul's leading universities for international students with a popular Korean Language Institute and many undergraduate programs taught in English. Learner-centered education: Konkuk University is very focused to have a learner-centered education that stimulate the student to achieve the best possible future for themselves. With this in mind Konkuk has created “Plus Semester Program” that give students work experience during the semesters so that they graduate with both theoretical and practical experience. Konkuk University also has an Office of International Programs and their aim is to help international students settle into their life in Seoul. 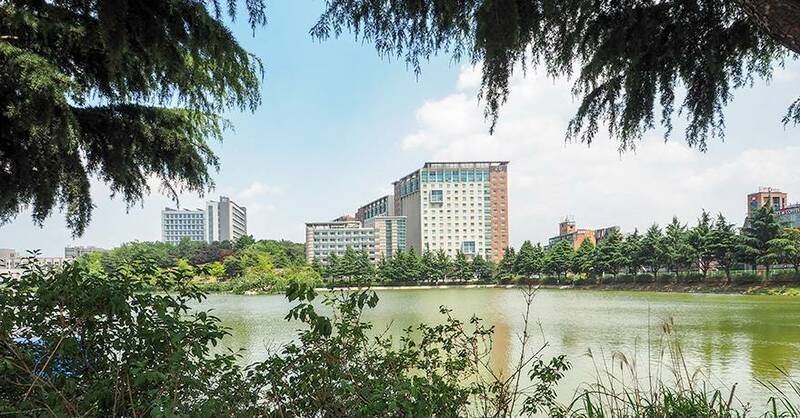 Eco-friendly campus: Konkuk University has great educational infrastructure and software. Why don’t use the free rental campus bike and find a great spot to read from our online M-library! Get up to 70% in tuition waiver: To apply for Konkuk’s undergraduate programs you need to have at least TOPIK 3. 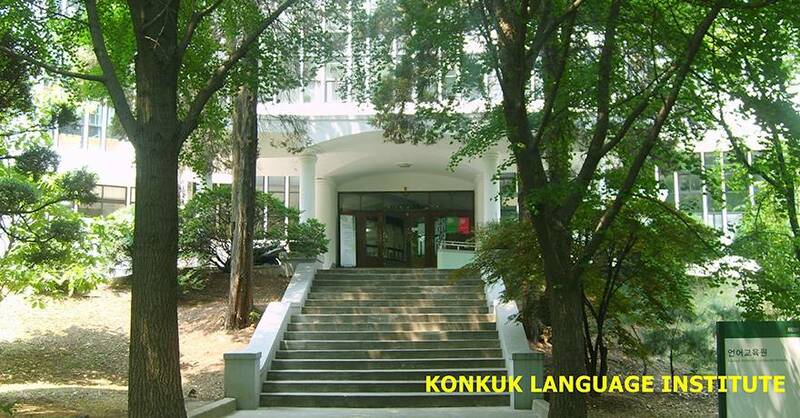 If you pass your TOPIK while at Konkuk’s Korean Language Program you get up to 70% in tuition waiver and if you pass level 5 and have attendance rate of 90% each in each term you have guaranteed admission! - Undergraduate programs - take a Bachelor's Degree in English in four years. Even though most of the program is in English you will need Korean on TOPIK 3 level to get accepted. So please note that most students need to start by studying Korean Language for one year before applying to the undergraduate program. Knowing the language will also make your life in Korea easier. Read more in the schools PDF-brochure in the links section and fill out an information request if you want our help to apply to Konkuk University. Konkuk University has two campus, one in central part of Seoul and Glocal campus located in Chungju. 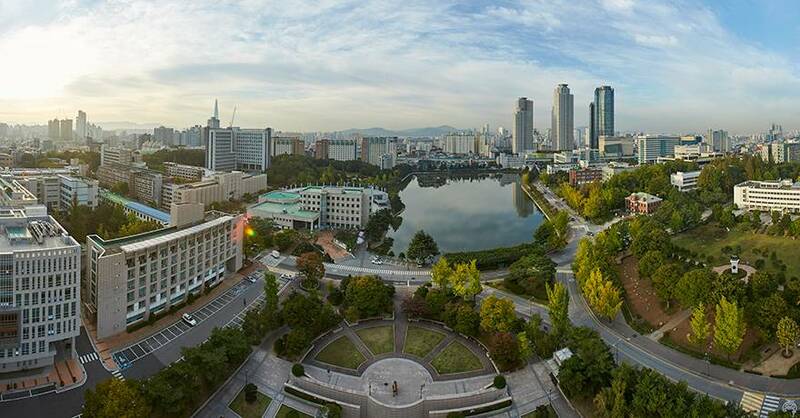 The main campus is located in the southeastern part of Seoul close to the Han river. There is a big lake on campus and the environment is very pleasant. From Konkuk University Station it is easy to other part of Seoul. The subway station serviced by Line 2 (Green) and Line 7 (Olive). The on-campus accommodations are built with environment-friendly materials and they have many great amenities for students such as air condition, panel-heating Ondol (Korean floor heating system), high technology security system, cafeteria, unlimited high speed internet, cable TV (56 different channels), a large gym and yoga and dance classes. We can help students from Europe and North America with the application free of charge - fill out an information request now to get started! Fill in this form to get more information about the courses and application to Konkuk University. You can also ask questions to the school here.